Holiday camps are a great way to keep children entertained over the school holidays. 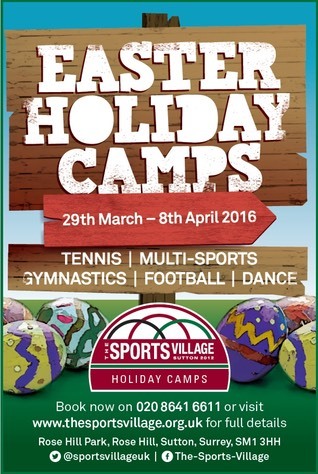 The Sports Village has a fantastic range of options and facilities to keep kids busy and fit in the holidays. The Sports Village�runs camps every Easter, summer and half-term holidays with access to impressive indoor facilities which means camps can run whatever the great British weather has in store. The different camps on offer include: Tennis, Tots Tennis, Multisport, Gymnastics, Dance and Football as well as Soft Play sessions. "We offer exceptional facilities at affordable prices," adds Mhari.